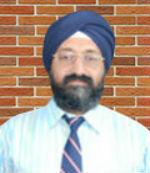 Prof. Jasbir Singh Matharu is as an Associate Professor (Finance) at Institute of Management Technology, Nagpur. He has done his Ph.D. from Indian Institute of Foreign Trade (Deemed University), New Delhi. He earned his Master’s degree in Commerce from University of Calcutta and MBA from Griffith University, Queensland, Australia. He was associated with a couple of brokerage firms before venturing into academics. He has been into academics for the last 16 years. His research interests include efficiency of stock markets, Behavioral Finance and valuation of securities. He is currently teaching Corporate Finance, Investment Management and Financial Modeling using Excel. Paper published in the Global Business Review, 19(6), 2018, on “Long Term Performance of Buybacks in India”, co-authored by Dr J K Seal. Paper published in the NSHM Journal of Management Research and Applications (ISSN 0975-2501) on "Long Run Performance of Initial Public Offerings and Seasoned Equity Offerings in India" in July 2016, co-authored by Dr J K Seal. Paper published in the Working Paper series of Indian Institute of Foreign Trade, New Delhi, titled 'Long Run Performance of Initial Public Offerings and Seasoned Equity Offerings', in May 2012. Presented a paper titled “Underpricing of Initial Public Offerings in India” in the 5th International Conference on Sustainability and Management Strategy, jointly organized by Institute of Management Technology, Nagpur, Council for Scientific & Industrial Research-National Environmental Engineering Research Institute, and California State University San Bernardino, USA, held during September 28-29, 2018 at the Institute of Management Technology, Nagpur campus. Presented a paper titled "Performance of Sustainability Indices in India" in the International Conference on Facets of Doing Business in Emerging Markets, jointly organized by Institute of Management Technology, Ghaziabad and University of Texas at El Paso, held during July 28-29, 2016 at the Institute of Management Technology, Ghaziabad campus. Presented a paper titled "Share Price Reaction to Quarterly Earnings and Dividend Announcements: Empirical Evidence from National Stock Exchange of India" in the National Conference on "Forecasting Financial Markets in India (FFMI 2008)", held during December 29-31, 2008 at the Indian Institute of Technology, Kharagpur. Was awarded ‘Highly Commended Paper’ by Emerald for paper titled “Performance of Sustainability Indices in India” at the International Conference on Facets of Doing Business in Emerging Markets at the Institute of Management Technology, Ghaziabad.